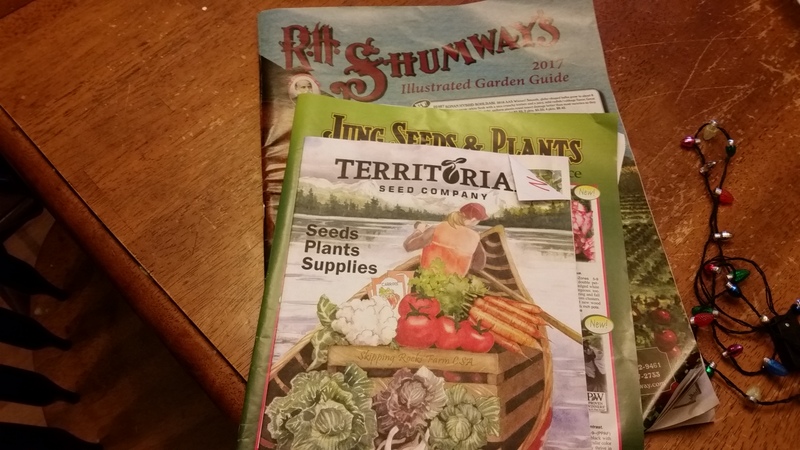 It’s only January, but with the seed catalogs beckoning me, I’m itching to get my hands in the soil. I know, I know. It will be awhile before that can happen. I’ll be dog-earing the pages in my favorite seed catalogs. I’ll be making lists for the kitchen garden, the vineyard, the fedge and the swales. I’ll be looking at last year’s lessons learned and drawing up this year’s kitchen garden, fedge, vineyard and swale plans. I’ll be dreaming of all the herbs, veggies, berries and grapes that are sure to grow on the homestead this year. Will this be the year the apple trees blossom? Will it be the year we finally get kiwi? Will we, at long last, be cutting asparagus to eat rather than watching (mournfully) as it grows taller and taller so we can chop it down and shake out the seeds? How I hope it will! 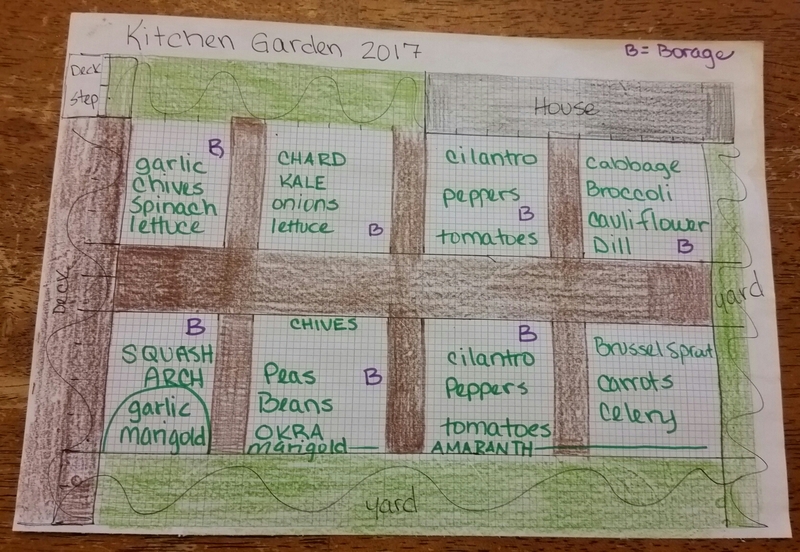 But before I can harvest all of this wonderful produce, the plans need to be drawn up and the seeds planted…starting with the kitchen garden. The plans this year are not quite as aggressive as the past few year’s have been. I’m cutting down from 15 squares, to 8. For the past two years, I’ve let the weeds take over due to time constraints and a little laziness. I’m hopeful that with 8 plots, I’ll be able to better manage the crops as well as have time to do some serious chopping and dropping during the season. I’m not planting as many tomatoes this year, not because I don’t want them, but because I know we will have a zillion volunteers that will need new homes. I’ve planned for enough herbs and marigolds to help ward off pests, but the majority of the herbs will be in my herb spiral…last year’s big success. I’m moving the squash arch closer to the deck. Why you ask? 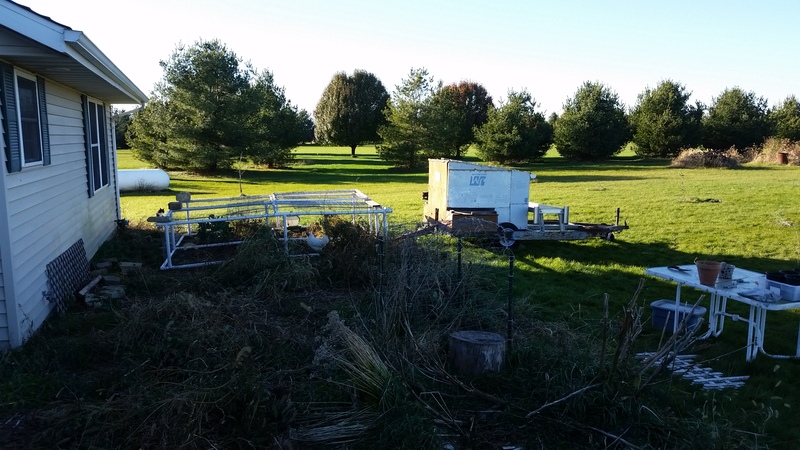 Well…I did not take the chickens into consideration when I built it smack in the middle of the garden. I had to sacrifice the garlic I planted under it so that the chickens could continue their work fertilizing the soil, making it ready for the spring planting…I sure hope they enjoy it. This entry was posted in Chickens!, Food, Garden Stories. Bookmark the permalink.